The share price of Hong Kong-listed Wynn Macau Ltd rose by as much as 9.0 percent on Thursday, after the firm’s founder and chief executive Steve Wynn announced his resignation on Wednesday. The stock closed 8.0-percent higher on Thursday, at HKD27.0 (US$3.45). Mr Wynn stepped down as the chief executive and chairman of Wynn Macau Ltd, as well as from the parent company, U.S.-based Wynn Resorts Ltd. Mr Wynn resigned following sexual misconduct allegations contained in a Wall Street Journal article published a fortnight ago. Mr Wynn has denied the allegations. The group announced that Matt Maddox, until Wednesday president of Wynn Resorts, had been appointed CEO of both the parent company and Wynn Macau Ltd.
Mr Maddox has been with the Wynn group since 2002 and was named president of Wynn Resorts in 2013. In recent years, he has taken an increasingly active role in investor conference calls and discussions over business operations. 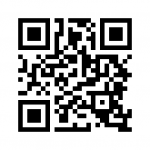 The appointment of Mr Maddox was seen by investment analysts as a positive development for the group. Mr Wynn’s resignation removed some overhang from the stock of both Wynn Resorts and Wynn Macau Ltd, said several analysts. 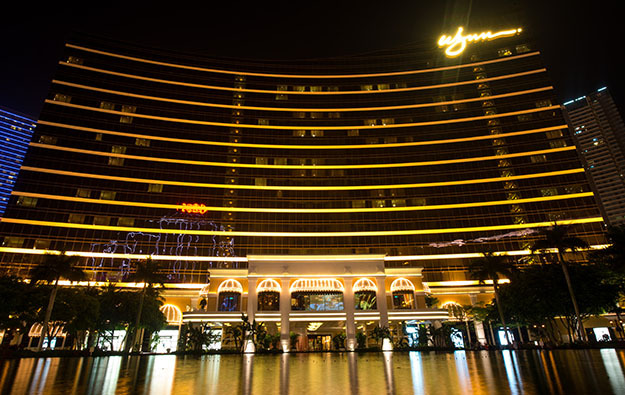 Wynn Macau Ltd shares had lost nearly 17 percent of their values in the course of seven trading days subsequent to detailed news of the misconduct allegations in late January. Brokerage Deutsche Bank Securities Ltd said in a note on Wednesday that “the most punitive scenarios [for the Wynn group] are off the table” following the resignation of Mr Wynn. “With Mr Wynn’s departure, we believe any concerns that may have existed about a forced sale of the company are off the table,” said analysts Carlo Santarelli and Danny Valoy. The Deutsche Bank team however believes that investors will continue to hear speculations surrounding the sale of the casino resort operator in the near future. If a sale were to take place, the Deutsche Bank note suggested that “maximum value is most likely achieved through a sale of [Wynn Resorts] in parts”, separating the company’s Macau assets from the U.S. assets. “We believe the potential for a sale of the Macau operations to a non-traditional gaming operator is more likely than a sale involving an existing concessionaire or traditional gaming operator that lacks roots in Macau,” said Mr Santarelli and Mr Valoy. 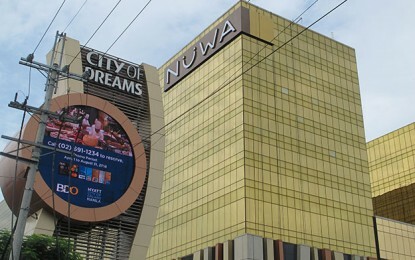 A note from Japanese brokerage Nomura on Wednesday said that the risk of Wynn Resorts losing its gaming licenses in Macau, as well as in the states of Massachusetts and Nevada in the U.S. are lower following the departure of Mr Wynn. The publication of the sexual misconduct allegations has led the Massachusetts Gaming Commission to open an investigation into Wynn Resorts. The company is currently developing a casino property in Boston, Massachusetts. The US$2.4-billion project is scheduled to open in 2019. The Nevada Gaming Control Board also announced last week it would launch a formal investigation into the allegations of sexual misconduct made against Mr Wynn. The Macau gaming operator – the Gaming Inspection and Coordination Bureau – held a meeting with the representatives of Wynn Macau Ltd “better to understand the situation” regarding the allegations against Mr Wynn. The Nomura note suggested that “two positive scenarios” could play out after Mr Wynn was replaced as CEO – a board upgrade, in which most of the board members are replaced, or to sell the firm “in pieces”. “We believe the more likely means of enhancing shareholder value is to sell the company, not to one entity but two, splitting Wynn’s domestic [U.S.] and Macau assets,” said Nomura. If a split sale were to occur, the Japanese brokerage believes that a mainland China suitor will be favoured by the Chinese central government “so as to increase Chinese ownership of the valuable asset”. In the eventual scenario of a sale, analyst David Bain from brokerage Roth Capital Partners said in a Wednesday memo that Macau’s gaming concession renewal would greatly restrict the number of potential buyers. “While many anticipate concessionaires will agree to pay a one-time lump sum for a five-year extension by the end of the year, we note Macau and China’s policies and political environments have proven fluid, creating a significant acquisition risk for a potential buyer,” said Mr Bain. Wynn Macau Ltd’s gaming concession is due to expire in 2022. The Macau government has yet to spell out how the renewal process will look like. Wynn Resorts’ stock, which had lost nearly a fifth of its value since January 26 when reports of the allegations first surfaced, ended the Wednesday trading session in New York with an 8.64 percent gain.